Ireland was once so covered in trees that a squirrel could travel from Malin to Mizen head without ever touching the ground. 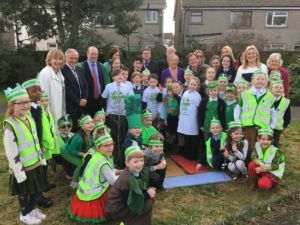 This Irish social enterprise aims to plant one million trees, all with the help of Ireland’s school children. 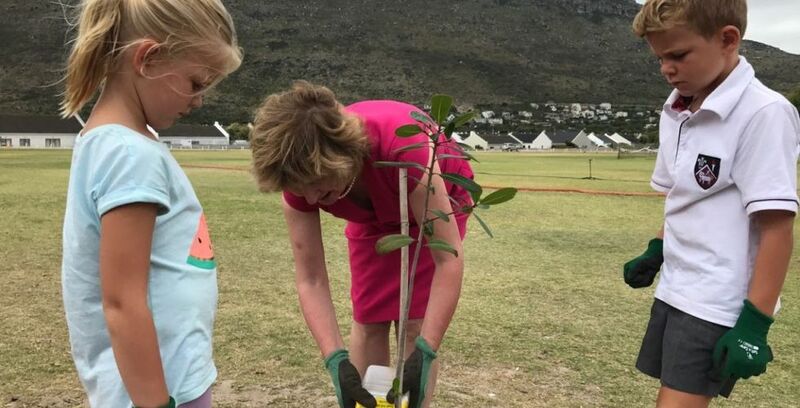 Teacher Orla Farrell is the brains behind EasyTreesie, an environmentally-friendly social enterprise that aims to plant one million trees, with the help of school children, on the island of Ireland over the next five years. I remember celebrating the 50th anniversary of the Independence of Ireland as a six-year-old in first class; our teacher told us the story of how our native forest cover had been reduced to one percent. Ireland was once so covered in trees that a squirrel could travel from Malin to Mizen head without ever touching the ground. The new State had made a start, but tree cover had not even gone up to four percent in that year. I also found it extraordinary to hear that Ireland was seven times better at growing trees than Scandinavia yet our teacher held up a wooden clothes hanger that said: A tSualainn Tír a dhéanta – Made in Sweden. And now you want to plant one million trees? Yes. My husband was helping out a group called Conservation Volunteers who came to schools and helped plant trees. I had just moved to job share in a school on the Baldoyle Estuary, and we had lots of space. The team arrived, and we planted a native hedgerow and a stand of trees, over 200 in all. The children had so much fun, but best of all, the school started to benefit in such a great way. We are at the end of the M50 extension and the road could be very busy but now the traffic was screened off from the road. It also sheltered us from people looking in which made the playground much more private; the children liked that because now they could play in peace and not be blown about by the wind. It can be very breezy by the sea. We saw a huge increase in biodiversity, and now we had birdsong to listen to instead of the sound of buses. I could not believe the enormous benefits we gained from such an easy school project. What ‘roadblocks’ have you encountered so far? Planting the first thousand trees was the hardest. We made lots of mistakes and are thinking of making a film called ’50 Ways to Kill a Tree’ because we have killed them (I am sorry to report) in unexpected ways. We had a problem with toddlers and buggies driving through our Tiny Forest at the start because our trees were so small they were invisible. We had the bright idea of tying red ribbons to them all on Valentine’s Day to make them more easily seen. Fortunately, we paid regular visits to check on our plantation, and it was one of the children who spotted the obvious, that as the trees were growing, they were slowly strangled by our well-tied decorations. So the trips to see what is going on elsewhere have been very useful. These mistakes have already been made so by copying what works in other places we are having great success. I job share with a most wonderful and supportive partner and have great support from my principal and colleagues at our school though my husband has warned me not to talk about trees to everyone all of the time. I decided to dedicate the free part of every week to planting trees. We have two major Planting Parties happening in January. We are delighted to have the support of Fingal County Council and the Parks Department who are supplying us with 3,000 trees. We will plant them in Seagrange Park, Baldoyle which we know will be a great place for them because we planted 300 there earlier this year. Children love to help, they like a little mud and a seeing a few worms, and they love watching things grow. It is great for them to get away from screens and the indoors. Every study shows how great fresh air is for them and getting them in touch with nature for their mental and physical health. What advice would you offer to anyone looking to start a business? There is an incredible amount of goodwill there for people setting up a social enterprise. The Start Your Own Business course by the Local Enterprise Office is excellent. I have found the Women’s Network here in Dublin encouraging because it keeps things tapping along; they run very motivating events. I was lucky enough to be picked as one of Ireland’s ‘Top 50 Social Entrepreneurs’ this year and got a place on its training course in the RDS. 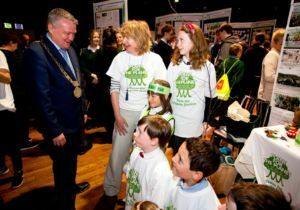 Orla Farrell is a member of “Crann” and the founder of EasyTreesie.com which is coordinating the UN-backed Plant-for-the-Planet programme in Ireland, a project up and running in over 100 countries where children are working on the challenge to plant a million trees by 2020. They plan to kick off the project with two plantations of 3,000 and 3,500 native trees in Fingal, Dublin in January 2018. A teacher and former Dublin City Councillor, she was selected as one of SEI’s Top 50 Social Entrepreneurs this year and has recently been chosen by An Taisce to be one of Ireland’s first Climate Ambassadors for 2018.